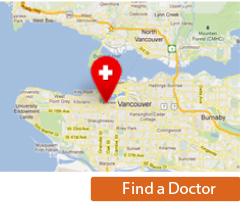 The Vancouver Division of Family Practice (VDoFP) is led by Lower Mainland family doctors who identify opportunities to improve the delivery of local health care. We work with the Government of British Columbia and Doctors of BC, health authorities and community partners to address gaps and needs that are not being met by current primary health system. We are focused on creating a network of family doctors to best serve the maternity needs of Vancouver patients. Priorities include sharing knowledge about prenatal and postnatal care and improving the maternity care referral process for patients and family doctors. Our Primary Maternity Care Committee is made up of expert Family Doctors dedicated to ensuring better care for Vancouver families. We will address gaps in care and improve the primary health care system. We will engage Family Doctors and support them in improving ways in which they practice primary care in Vancouver and enhance their professional satisfaction. We will increase Family Doctors’ influence on health care delivery and policy to bring about improved care and health for all segments of our community. Improve and increase communication between acute care providers, primary care providers and other specialists. Improve the system of care, including timely access, gap identification, reduction in duplication of services and tests. Increase member satisfaction, collegiality, and knowledge. Enhance the relationship between Family Doctors and patients. Enhance the relationship between the Vancouver Division and stakeholders, including Vancouver Coastal Health, Ministry of Health, Providence Health Care, Provincial Health Services, Divisions BC, and other community partners. Provide accountability and evaluation of the Vancouver Division of Family Practice Board, committees and staff activities.